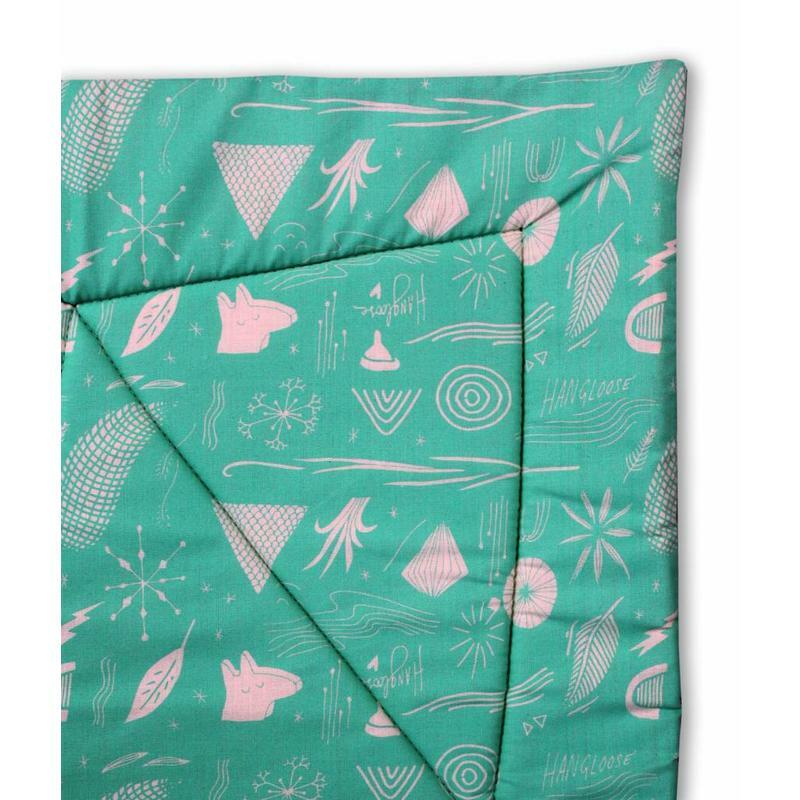 Hangloose Baby - Baby hammock | Box blanket | Play mat - in one. Ordered before 21:00, delivered the next day. Free Shipping! Hangloose Baby originated from a passion. Five fathers from Scheveningen came up with a multifunctional box rug and immediately won the baby innovation award at the launch. It has now become their mission to contribute to the development and play experience of young children and babies. We are opposed to buckling babies in various chairs such as wippers, the maxi-cosi, and other misery. Except from the car trips of course. Especially during the first phase of life when the baby still has difficulty in stretching and is hindered by involuntary movements, it is good if the baby can move freely. Babies need space to lay a good foundation in motor skills. The Hangloose baby blanket offers this possibility. The hammock function promotes free movement development, is safe, soft and gives a sense of security. At present, two hospitals are working together and Hangloose Baby is recommended by different maternity care institutions because Hangloose Baby helps cry babies, babies with reflux and overstretched tendencies. The soft materials and the feeling of security also offer a solution for prematures. The design is inspired by the Japanese origami folding art. The rug is made of soft materials and can be folded around the baby like a baby nest, which stimulates the feeling of security. In addition, the rug can also be used as a playpen rug and play rug. The design is distinctive and has a high aesthetic value. The upper layer of the Hangloose Baby always has a special uni-color; the other side has a fresh color with an illustrative pattern. The limited visibility of the illustrative motif makes the appearance of the design subtle, playful and stylish. The Hangloose Baby playpen rug measures 80 x 100 cm. The hammock function can already be used for boxes with an inside size of 72 x 86 cm.